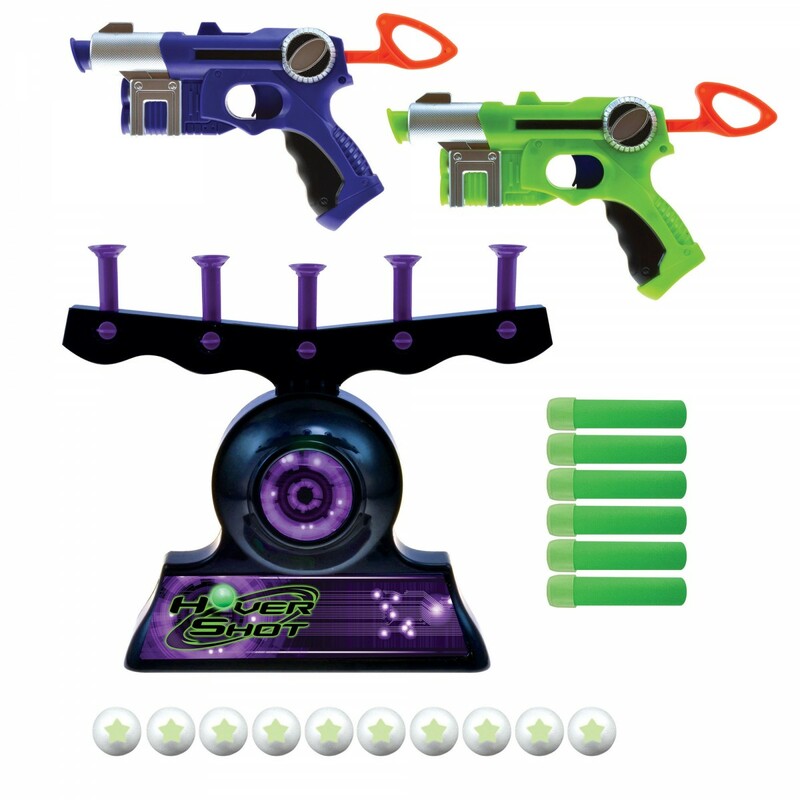 It's a 2 player target shooting duel, however these are not normal targets. 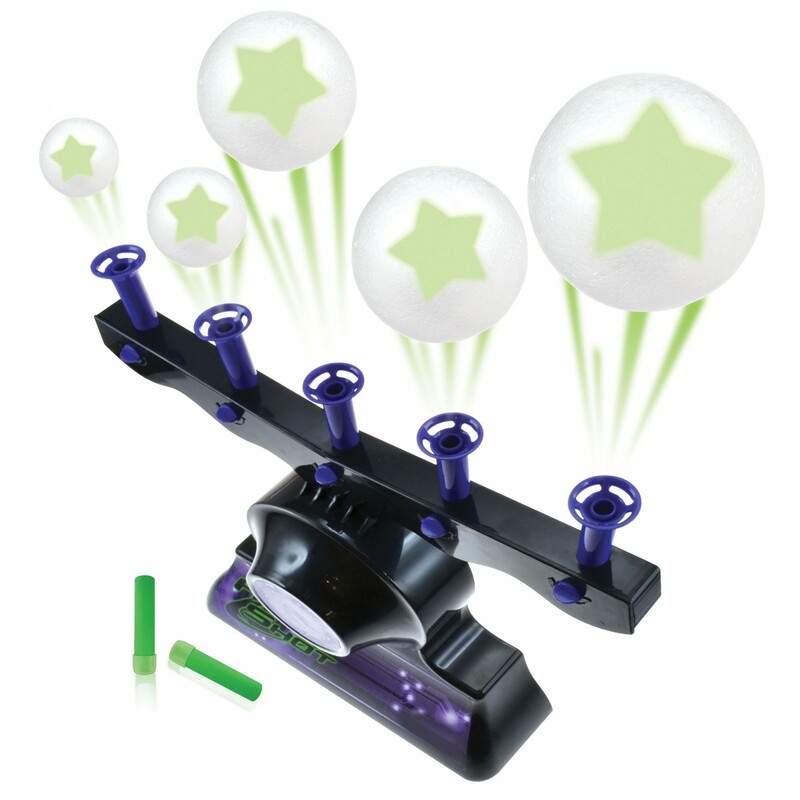 The 5 balls float in mid-air! Individual air pillars control the ball height. 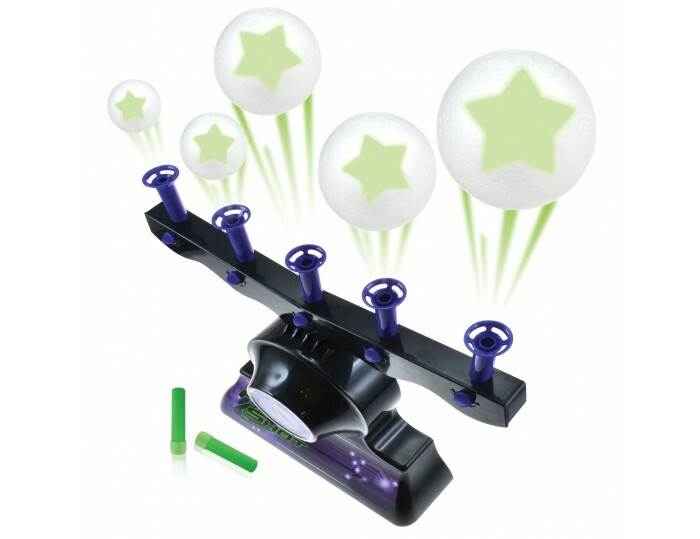 2 ways to play - Play with the lights on OR turn off the lights and test your skills with the glow-in-the-dark feature.